MODEL: YF8H2KEW. $0 Security Deposit. All 12,000 miles per year, $0.15 over mileage. Down payment $2,019 plus tax, tags & $499 Dealer Conveyance due at signing. Images are for illustrative purposes only (may not represent actual vehicle). Interest rate subject to credit approval and terms/conditions of dealer primary lender. Not responsible for typographical errors. See dealer for details. MODEL: YF6HIKEW. $0 Security Deposit. All 12,000 miles per year, $0.15 over mileage. Down payment $2,019 plus tax, tags & $499 Dealer Conveyance due at signing. Images are for illustrative purposes only (may not represent actual vehicle). Interest rate subject to credit approval and terms/conditions of dealer primary lender. Not responsible for typographical errors. See dealer for details. MODEL: RW6H3KEW. $0 Security Deposit. All 12,000 miles per year, $0.15 over mileage. Down payment $2,019 plus tax, tags & $499 Dealer Conveyance due at signing. Images are for illustrative purposes only (may not represent actual vehicle). Interest rate subject to credit approval and terms/conditions of dealer primary lender. Not responsible for typographical errors. See dealer for details. MODEL: CVIFIKEW. Stock #:190095. $0 Security Deposit. All 12,000 miles per year, $0.15 over mileage. Down payment $2,019 plus tax, tags & $499 Dealer Conveyance due at signing. Images are for illustrative purposes only (may not represent actual vehicle). Interest rate subject to credit approval and terms/conditions of dealer primary lender. Not responsible for typographical errors. See dealer for details. MODEL: FC2F6KEW. Stock #:190344. $0 Security Deposit. All 12,000 miles per year, $0.15 over mileage. Down payment $2,019 plus tax, tags & $499 Dealer Conveyance due at signing. Images are for illustrative purposes only (may not represent actual vehicle). Interest rate subject to credit approval and terms/conditions of dealer primary lender. Not responsible for typographical errors. See dealer for details. MODEL: Gk5G4KEW. Stock #:190269. $0 Security Deposit. All 12,000 miles per year, $0.15 over mileage. Down payment $2,019 plus tax, tags & $499 Dealer Conveyance due at signing. Images are for illustrative purposes only (may not represent actual vehicle). Interest rate subject to credit approval and terms/conditions of dealer primary lender. Not responsible for typographical errors. See dealer for details. 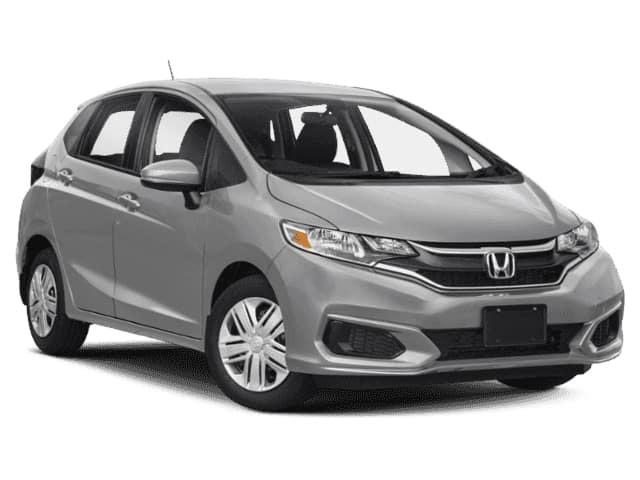 When you’re shopping for a new Honda, you want to make sure you’re getting the very best deal possible. 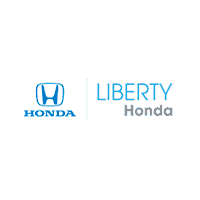 By taking advantage of our rotating new vehicle specials here at Liberty Honda, you can rest assured you’re getting the best price on the new Honda you’re looking for. 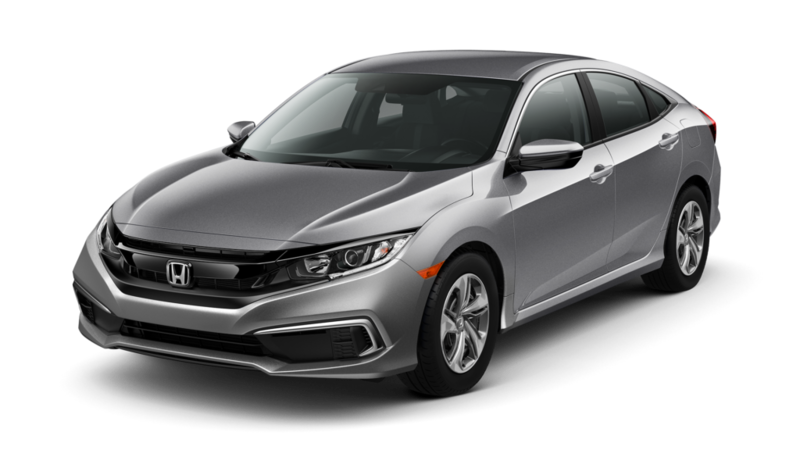 With so many competitive new Honda deals and new vehicles to choose from, we’re sure you’ll find an attractive offer. Browse our new vehicle specials online and discover the perfect new car to upgrade your Manchester commute! SAFETY: Collision Mitigation Braking System, Forward Collision Warning, Road Departure Mitigation System, Lane Departure Warning, Advanced Compatibility Engineering body structure, Vehicle Stability Assist w/ traction control, Anti-lock braking system, Electronic Brake Distribution, Brake Assist, Multi-angle rearview camera with dynamic guidelines, LED Daytime Running Lights, Advanced front airbags, SmartVent® front side airbags, Side curtain airbags with rollover sensor, Driver’s and front-passenger’s knee airbags, Tire Pressure Monitoring System, Front 3-point seat belts49 with automatic tensioning system, Driver’s and front passenger’s seat-belt reminder, Lower Anchors and Tethers for CHildren. 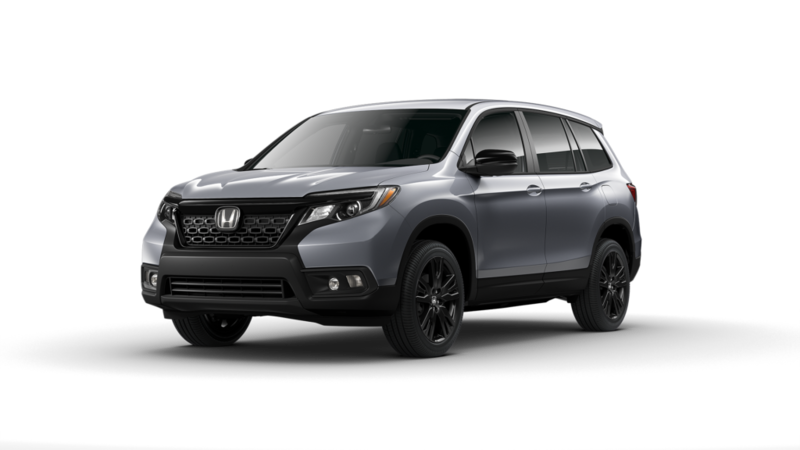 FEATURES: Adaptive Cruise Control w/Low-Speed Follow, Lane Keeping Assist System, Dual-zone automatic climate control system, 7-inch high-resolution WVGA screen with customizable settings, Bluetooth HandsFreeLink, SMS text message function, Power windows with auto-up/down driver’s window, Power door locks/programmable autolocking doors, Push button start, Illuminated steering wheel-mounted controls, Tilt and telescopic steering column, Center console with armrest and storage compartment, Beverage holders, front and rear, Driver’s and front passenger’s illuminated vanity mirrors, Map lights, Sunglasses holder, 12-volt power outlets, Driver and passenger-side seatback pockets, Remote fuel filler door release, Remote trunk release with lock, Rear window defroster, Cargo area light, Floor mats, Side door pockets, Driver’s seat with manual height adjustment, Adjustable front seat-belt anchors, Fold-down rear seatback with center armrest, Backlit gauges, Aluminum hood, Security system with remote entry, LED low-beam headlights with auto-on/off, Taillights with LED brake lights and integrated LED light bars, One-touch LED turn indicators, Body-colored power side mirrors, Variable intermittent windshield wipers, Body-colored door handlesPandora® compatibility, Bluetooth streaming audio, USB Audio Interface, Radio Data System, Speed-Sensitive Volume Compensation, 160-watt audio system with 4 speakers. ENGINEERING: 1.5-liter turbocharged VTEC® 4-cylinder direct-injection engine, Continuously variable transmission with sport mode, Drive-by-Wire throttle system, Eco Assist system, Active Noise Cancellation, Active Sound Control, Hill start assist, Direct-ignition system with immobilizer, MacPherson strut front suspension, Independent multi-link rear suspension, Electric Power-Assisted Rack-and-Pinion Steering, Front and rear stabilizer bars, Power-assisted, ventilated front disc/solid rear disc brakes, 17-inch alloy wheels. ***ACCESSORIZED CIVIC***UNDERBODY FRONT SPOILER***UNDERBODY REAR SPOILER***SIDE SKIRTS***GLOSS BLACK WING SPOILER***Safety: Smart Entry and push button start, Collision Mitigation Braking System, Forward Collision Warning, Road Departure Mitigation System, Lane Departure Warning, Advanced Compatibility Engineering body structure, Vehicle Stability Assist w/ traction control, Brake assist, ABS w/ Electronic Brake Distribution, Advanced front airbags, SmartVent front side airbags, Side curtain airbags w/ rollover sensor, Multi-angle rearview camera w/ guidelines, Tire Pressure Monitoring System LED Daytime Running Lights, Fog Lights, Driver's and front passenger's seat-belt reminder, Lower Anchors and Tethers for CHildren. 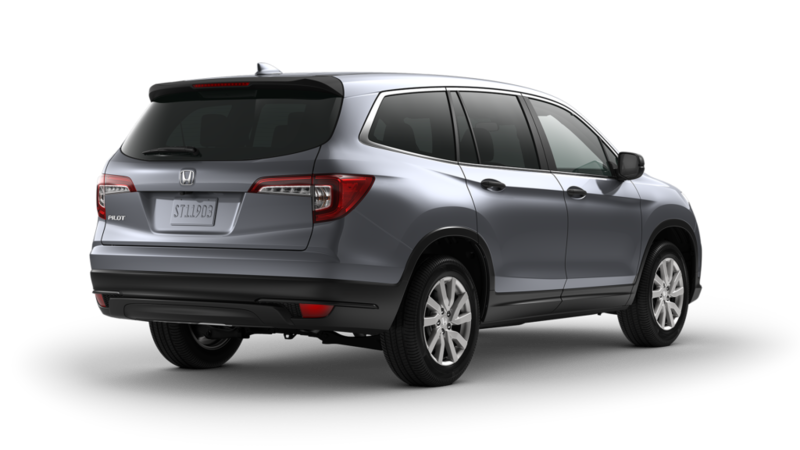 Features: Remote Engine Start, HondaLink, Apple CarPlay, Android Auto, SMS text message function, 7" Display Audio w/ high resolution WVGA electrostatic touch-screen and customizable feature settings, Adaptive Cruise Controle w/ Low-Speed Follow, Lane Keeping Assist System, Auto high-beam headlights, Driver Information Interface, Projector-beam halogen headlights w/ auto-on/off, Leather-wrapped steering wheel and shift knob, Sport Pedals, Body-colored power side mirrors, Security system w/ remote entry and trunk release, Direct ignition system w/ immobilizer, Automatic climate control system, Rear window defroster w/ timer, Power windows w/ auto-up/down driver's and front passenger's windows, Tilt and telescopic steering column, Body-colored door handles, Center console w/ sliding armrest and storage compartment, Exterior temperature indicator, Map lights, 60/40 split fold-down rear seatback, Driver's seat w/ manual height adjustment, Bluetooth HandsFreeLink, Bluetooth streaming audio, Illuminated steering wheel-mounted controls, 160-watt audio system w/ 4 speakers, 1.5-amp USB Smartphone/Audio Interface, Speed-Sensitive Volume Compensation, 12-volt power outlet, Power door locks w/ auto-lock feature, Capless fuel filler. 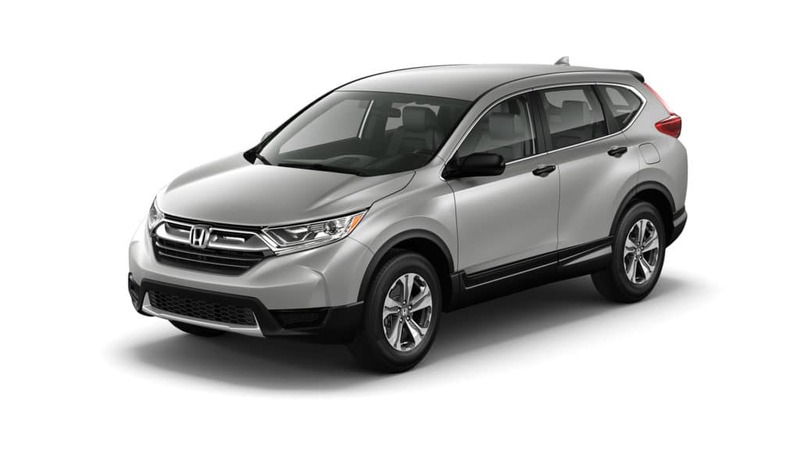 Engineering: 2.0-liter DOHC i-VTEC 4-cylinder engine, Drive-by-Wire throttle system, Center outlet exhaust, Eco Assist system, Continuously variable transmission, Electric Parking Brake w/ automatic brake hold, Hill start assist, MacPherson strut front suspension, Multi-link rear suspension, Front and rear stabilizer bars, Variable-Ratio Electric Power-Assisted Rack-and-Pinion Steering, 4-wheel disc brakes, 18" alloy wheels. SAFETY: Blind spot information system w/ cross traffic monitor, Collision mitigation Braking System, Forward Collision Warning, Road Departure Mitigation System, Lane Departure Warning, Auto-dimming rearview mirror, Advanced Compatibility Engineering body structure, Vehicle Stability Assist w/ traction control, Anti-lock braking system, Electronic Brake Distribution, Brake Assist, Multi-angle rearview camera w/ dynamic guidelines, LED Daytime Running Lights and fog lights, Advanced front airbags, SmartVent front side airbags, Side curtain airbags w/ rollover sensor, Driver's and front passenger's knee airbags, Tire Pressure Monitoring System, Front 3-point seat belts w/ automatic tensioning system, Driver's and front passenger's seat belt reminder, Lower Anchors and Tethers for CHildren. 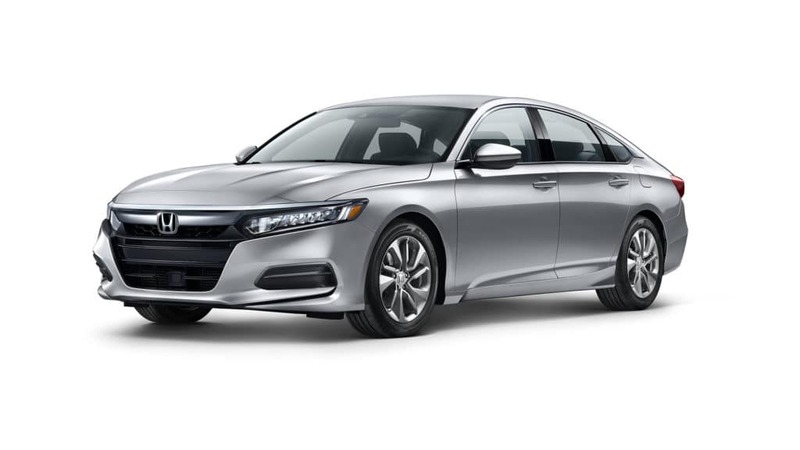 FEATURES: Apple CarPlay and Android Auto integration, HomeLink remote system, HondaLink, One-touch power moonroof w/ tilt, Adaptive Cruise Control w/ Low-Speed Follow, Lane Keeping Assist System, Dual-zone automatic climate control system, 8-inch Display Audio w/ high-resolution electostatic touchscreen, Bluetooth HandsFreeLink, SMS text message function, Power windows w/ auto up/down driver's and front passenger's windows, Power door locks w/ programmable auto-locking doors, Smart Entry w/ Walk Away Auto Lock, Push Button Start, Cruise control, Illuminated steering wheel mounted controls, Tilt and telescopic steering column, Center console w/ armrest and storage compartment, Front and rear beverage holders, Driver's and front passenger's illuminated vanity mirrors, Map lights, Sunglasses holder, Lockable glove compartment, 12-volt power outlets, Driver and passenger side seatback pockets, Remote fuel filler door release, Remote trunk release w/ lock, Rear window defroster, Cargo area light, Floor mats, Side door pockets, Leater-trimmed seats, Driver's seat 12-way power adjustment including 4-way power lumbar support and 2-position memory, Front passenger's seat w/ 4-way power adjustment, Heated front seats, Leather-wrapped steering wheel, Adjustable front seat belt anchors, 60/40 split fold-down rear seatback w/ center armrest, 450-watt audio system w/ 10 speakers, HD Radio, SiriusXM Radio, Pandora compatibility, Bluetooth steaming audio, USB Smartphone/Audio Interface, Speed-sensitive Volume Control, Aluminum hood, Security system w/ remote entry and trunk release, LED low-beam headlights w/ auto on/off, Taillights w/ LED brakelights and integrated LED light bars, One-touch LED turn indicators, Heated Body colored power side mirrors w/ integrated turn indicators, Variable intermittent windshield wipers, Courtesy lights. ENGINEERING: 2.0 liter 16-valve i-VTEC 4-cylinder Atkinson-cycle engin, Lithium-ion batter pack, LEV3-SULEV30 CARB emissions ratings, Electronic continuously variable transmission with Sport Mode, Deceleration selectors, Eco Assist system, Active Noise Cancellation, Hill start assist, Remote engine start, MacPherson strut front suspension, Independent multi-link rear suspension, Electric Power-Assisted Rack-and-Pinion Steering, Front and rear stabilizer bars, Power-assisted ventilated front dis/solid rear disc brakes, 17-inch alloy wheels. Once you’ve browsed our new car deals online, it’s time to get behind the wheel for a test drive. Contact us today with any questions about our inventory or to schedule your visit to our showroom in Hartford near South Windsor.